"If you have the love in your heart and the courage to adopt a child from a traumatized background, then you must have this book." 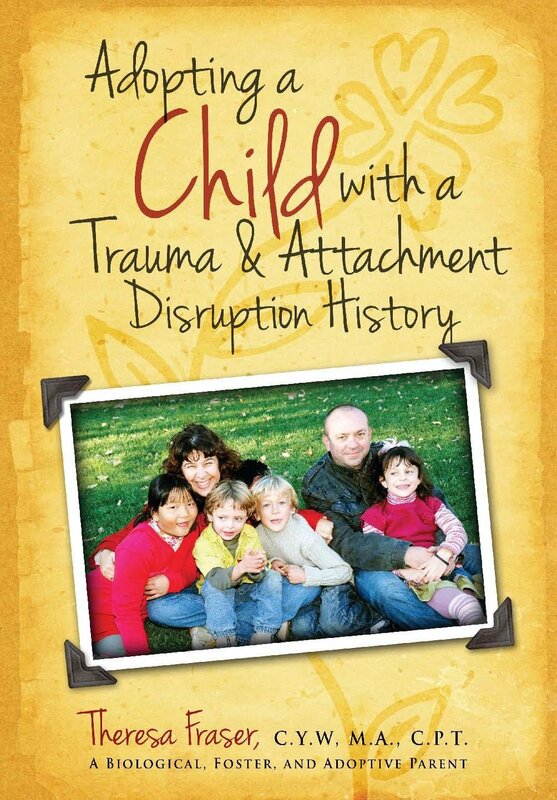 This booklet is a fact-filled resource for adoptive parents who have a child with trauma and attachment disruption experiences. Fraser provides tips and strategies that can be considered before placement as well as days, weeks, and months after your child joins your family. It addresses the day-to-day issues that new parents often get stuck on and provides info on the Four S's parenting plan that she shares with families (safety, structure, supervision and support). "The subtitle of this little book is apt: it is a practical guide. If you are considering adopting, read it first. It may well put you off, but that's better than taking in an already troubled child, only to pass the load on to someone else, causing another experience of rejection and loss for the child." "Anyone adopting a child with a history of trauma will find this in work a wealth of practical advice. Its very shortness is a virtue when parenting is already so demanding. Effective parenting, including adoptive parenting, comes out of knowledge and understanding was well as love. Theresa Fraser cuts to the chase with just what you need to know to be prepared to meet the challenges of adopting a traumatized child."